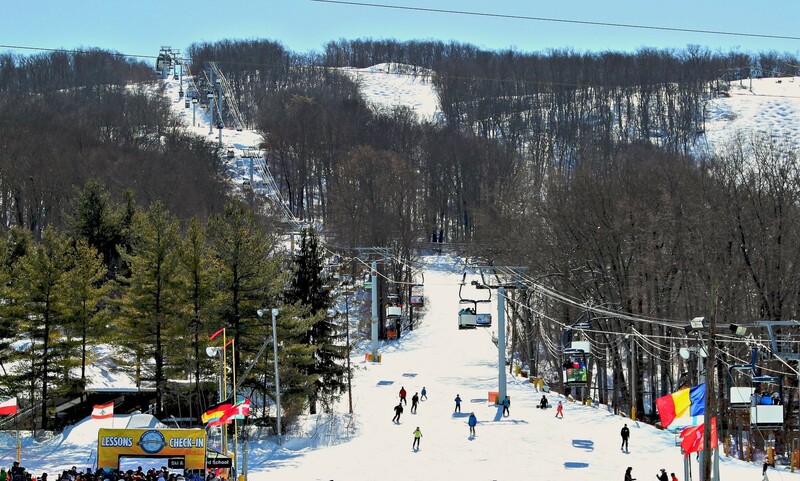 Located approximately 50 miles from New York City in the township of Vernon, Mountain Creek is a convenient family ski destination for skiers and riders in and around the New York/New Jersey Metro area. 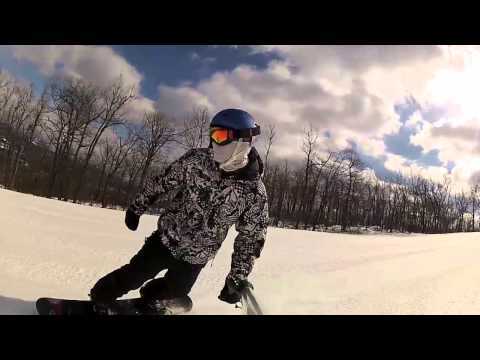 Mountain Creek is New Jersey’s largest ski resort, providing a variety of terrain options suitable for almost all ability levels and interests across its four peaks. Mountain Creek’s extensive snowmaking system covers 100 percent of the ski resort's terrain with an impressive fleet of more than 1,000 snowmaking guns. Skiers and riders have access to 1,040 feet of vertical via eight lifts and 46 trails on its 167 skiable acres. The mountain's base elevation is 440 feet with its summit topping out at 1,480 feet. The ski area also offers winter snow tubing and a waterpark in the summer. Slopeside lodging options include The Appalachian, located at the base of Vernon Peak. Head to Jack & Ottos for a quick bite after a long day of skiing and riding. Mountain Creek Resort is home to a variety of terrain including excellent groomed trails and some of the best terrain parks in the East. The resort has an impressive 1,040 feet vertical drop serviced by a modern lift infrastructure and updated amenities. The ski area has an extensive snow making operation and can cover approximately 100% of skiable terrain. The resort originally opened in 1965 as the Great Gorge Resort. In 1971 Great Gorge and Vernon Valley merged to create what is now known as Mountain Creek Resort.